Geoffrey Noonan is Assistant to the Special Agent in Charge, Los Angeles Field Office, of the United States Secret Service. Geoff has been with the United States Secret Service for eighteen years. Geoff earned a Bachelor’s of Arts from California Polytechnic at Pomona and received a commission as a Naval Officer from UCLA. Prior to starting his law enforcement career, Geoff served as a Naval Officer from 1993 to 2000 making three deployments to the Persian Gulf. He served as an Engineering Officer on board USS Kitty Hawk (CV-63), Operations Officer and Tomahawk Watch officer onboard USS Merrill (DD976) and Course Manager for Anti -Submarine Warfare Training Command Pacific Fleet. 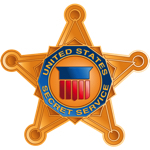 As a Special Agent with the Secret Service, Geoff has worked in various areas. He began his career in the San Diego Field Office where he worked counterfeit and fraud cases and was assigned the San Diego Regional Fraud Task Force. In 2006 he was transferred to Washington DC and was assigned to the Presidential Protection Division. In 2011, he was transferred to the Los Angeles Field Office and was the supervisor for the Asset Forfeiture Squad. He is currently assigned as the Assistant to the Special Agent in Charge (ATSAIC) of the Los Angeles Electronics Crimes Task Force.